Beau Pets dog car harness is an innovative harness that protects pets during vehicle travel. It is specifically designed to constrain your dog from moving freely around the car. Its unique design clips directly into the seat belt fitting. 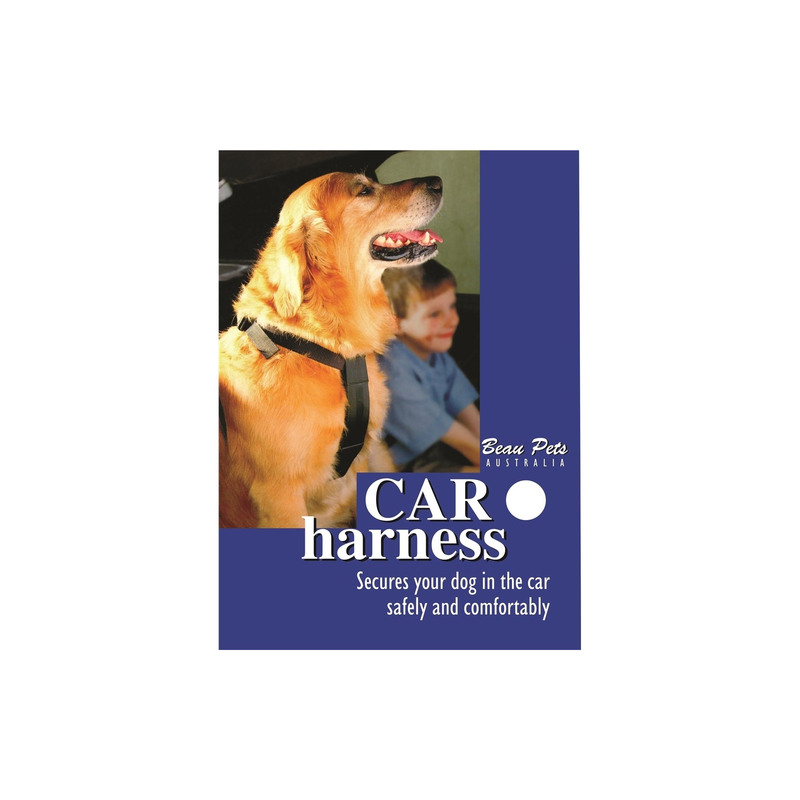 This car harness along with dogs also keeps and passengers safe in the car. It is easy to use as you just need to tether clips into the seat belt buckle. Made with high quality nylon, this car harness comes in different sizes to easily adjust to different size dogs. It secures dog safely and comfortably. Its strong hook attaches easily and does not cause any rashes or markings on your dog. This car harness has a padded chest support and unclips easily to use as a walking harness. For the added safety of your dog, you can also have Car Restraint Strap with clip. Select the size of the harness according to your dog weight and chest size. Simply fit the dog harness to your dog using the adjustable straps. Clip in the retaining strap to the buckle on the harness. With the dog now in the car, simply clip the other end of the retaining strap to the buckle of your seatbelt. Some dogs may need time to become accustomed to the harness. Do not directly use with a flat collar or choker chain. Material is of very good quality plus it's soft on the skin as well. I have been using this car harness for the added safety of my doggy and it has worked wonderfully well. The great thing is that it does not cause any rashes or markings on him, which makes it an ideal foil for my furry pal during car travel. Thank you!!! This harness is so easy to use and the best thing is the car restraint strap with clip that secures my furry pal safely and comfortably. Hence, I do not have to worry about my doggy during car travel. An excellent product!! !